If you are planning your wedding, you know how much work and preparation is involved with creating the perfect ceremony and reception. Choosing your wedding bands should be one of the most pleasant and fulfilling parts of getting ready for the big day. You may have considered choosing a handcrafted Celtic wedding ring that serves as a connection to your past. If your ancestry is Irish, Scottish, or Welsh, you will enjoy wearing the ancient symbols of the Celtic people at such a special time. If your bride or groom-to-be is also interested in Celtic jewelry, choosing matching wedding bands can add a lot of style and elegance to your wedding outfits and to your wedding day photos. As well, the truly timeless beauty of the distinctive symbols found on today’s Celtic wedding bands will bestow your rings with deeper meaning and value. It’s not too difficult to find a matched set of Celtic wedding rings once you’ve decided on a style that works for both of you. There are many fine options for matched sets, including Trinity Love Knot bands, which feature delicate, three-pointed figures crafted in the style of traditional Celtic interlace (knot work). There are also wedding bands that feature warrior symbols that were first discovered on the sixth century Ardagh Chalice. You can also enjoy the whimsical, romantic charm of Irish Claddagh Rings, which feature two tiny hands, clasping a crowned heart. Celtic wedding rings come in a variety of finishes and style. You can find sleek, sophisticated pieces that have a subtle richness, or select bolder, more individual styles that are unique and unforgettable. Precious metals such as white and yellow gold may be combined with the pinkish glow of rose gold for a dimensional effect. Sometimes these wedding bands feature the addition of gemstones, such as diamonds, emeralds or rubies. Choosing rings with tiny pave diamonds can add a lot of richness and glitter to even the simplest band. Emeralds are rare and precious, and they evoke the beauty of Ireland. Rubies are an enduring symbol of passion, and they have represented love for centuries. For the budget-conscious shopper, silver Celtic wedding rings can provide a white-gold look for an affordable price. Since the artisans who craft the rings spend years learning how to recreate the ancient symbols, they offer heirloom quality and exceptional beauty, no matter what material they are made with. Once you’ve chosen the perfect bands for you and your partner, you might want to consider adding some other Celtic touches to your wedding day. There are many ways to honor the spirit of your ancestors when you get married. Consider pretty wedding invitations that feature borders of delicate interlace, or perhaps an ornate shamrock in ivy green and gold. For the ceremony, there are many wonderful traditions you can call upon. Irish blessings and Celtic music and dancing are lovely ways to get in touch with the rituals of the past. Finding the perfect matched set of Celtic wedding rings can be an exciting journey through the cultural history of the Celts. It can also be a memorable way to show your love for one another. With a keen interest in Celtic jewelry, Leigh O’Meachair researches and writes about Celtic wedding rings and all other types of Celtic jewelry. 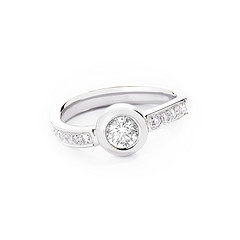 Click here for more information about Celtic wedding rings and here for Celtic engagement rings. This entry was posted in Glittering Diamonds and tagged diamond, gemstones, ring,, rings, wedding on December 31, 2009 by admin. 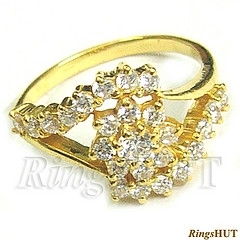 how gold and diamond jeweleries are priced for 18K yellow and white hand crafted items? Actually the pricing principles are different from one to another. 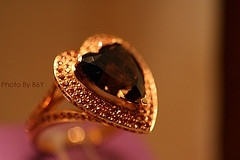 Several factors would be taken into consideration, 1. the price of mental or diamond on international market, which the main cost of a jewelry piece; 2 the cost of craft work, varied in different nations as some have cheap labor cost; 3 Other cost incurred when making these jewelry pieces; 4, the setting prices of other brands or stores, most sellers will compare other jewelry’s and then set price. 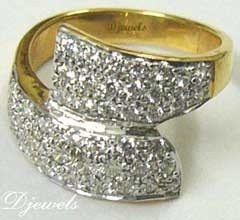 This entry was posted in Glittering Diamonds and tagged 14k, diamond, diamond yellow gold earrings, diamond yellow gold engagement rings, diamond yellow gold rings, diamond yellow gold wedding bands, emerald cut diamond yellow gold, gold, jewelry, yellow on December 29, 2009 by admin. 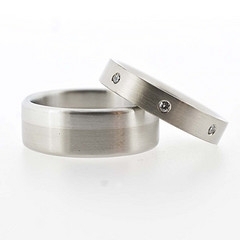 Would you wear this Diamond Cut Silver Wedding Bands 5 mm? would you buying it for your self? Would you wear that ring? Would you spend your gold coins on it? Was hoping you had a link to go to. Not sure. This entry was posted in Glittering Diamonds and tagged diamond, engagement, jewelry, rings, wedding on December 19, 2009 by admin. 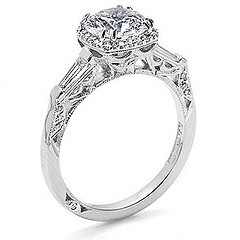 My engagement ring is 5/8 with clarity I1, round white & Champagne diamonds & 14 white gold. Is this good? 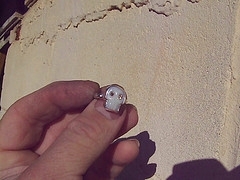 It’s 14K white gold, Metal color is white, Stones: 5/8 ct. t.w. round white and champagne diamonds. 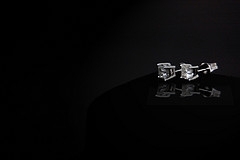 The setting is prong and pressure, color rating is white diamonds H/I and champagne diamonds, clarity is I1-12. 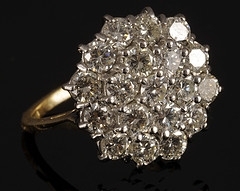 They’re selling it for $634.07 is this a good price for this type of ring? Please help! Does it matter is it a good or a bad price? Do you like it or not? This entry was posted in Glittering Diamonds and tagged diamond, gold, necklaces, pendants, wedding on December 18, 2009 by admin.